Not only is Israel rich in history & culture, but for many, the country also represents a strong religious heritage. As the Kingdom of the Old Testament, Israel is home to many sites important for the Christian & Jewish faiths, including Mount Sinai, The Western Wall & the Dome of the Rock, among others. 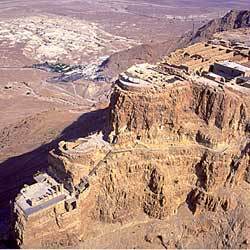 Israel is considered a requisite destination for many pilgrims, historians & adventurers alike. Whether you are looking to tour some of the Holy Land's famous sites, or want to design a tour more specific to your interests, FTI can help you make the most of your time in Israel. 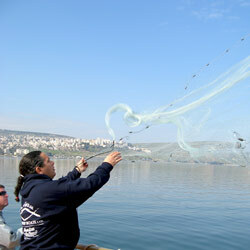 FTI carefully vets our guides to ensure they are the most qualified & the best fit for your desired Israel experience. Select from pre-arranged tours or design a custom tour made specifically to suit your group's needs & interests. Run into a snag during your trip? Let an FTI member help you resolve the issue, whenever that may be. 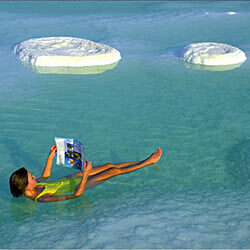 FTI is able to provide you with a turnkey solution for your next Israel adventure. FTI is proud to have a Top Account status with the major airlines. This allows us to offer our customers a number of travel perks, including discounted fares & flexible rules. Ask about free stopovers in your connecting city. Hop on our online booking engine to see student or humanitarian rates & begin making travel arrangements immediately, without a booking fee. Or, if you prefer, give one of our individual sales agents a call for assistance. Reserve a block of seats up to 11 months in advance to lock-in low fares & guarantee everyone travels together. Traveling as a group will also simplify ground logistics planning & avoid confusion due to flight delays or schedule changes. FTI understands that arranging a tour can be complicated. 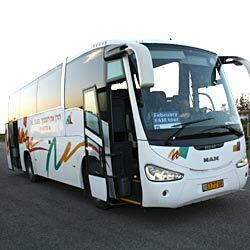 Make planning a trip to Israel as simple as possible with guaranteed departure tours. Because these pre-arranged trips run regularly on set dates, travelers can see many of Israel's highlights on a well-planned & executed tour, without fear of cancellation because of smaller group sizes. FTI's guaranteed departure tours have set itineraries that leave from a standard location on the same day each week. Although the itineraries cannot be customized, there are several options to choose from. They all include accommodations, transportation, meals & any entry fees or taxes. While schedules for the guaranteed departure tours have already been arranged for you, you can still incorporate a number of other excursions before or after your trip. So, you can spend some time learning more about Israel's history & culture. 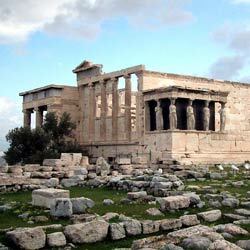 Get hands-on with an archaeological dig or share a meal with a local Jerusalem or Druze family. 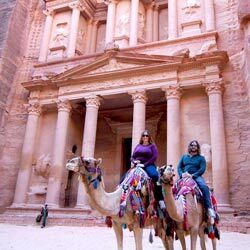 You may even choose to hop over to Jordan or spend some extra time in your connecting city. Just let us know what suits your fancy. Start planning your guaranteed departure tour today. Let us know if you need more ideas or want to create your own custom tour! Many know Israel for its historical & religious significance, but it is also a country with incredible culture, cuisine, scenery & adventure. To make your trip to Israel even more special, let one of our Tour Coordinators help you design an itinerary specific to your group's goals & interests. You may want to learn how to make hummus or share a Shabbat dinner with a local family. Or, you may decide to help archaeologists dig for artifacts at the Temple Mount before heading into the Negev desert for dinner at a Druze village. It's up to you. A trip to Israel is a transformative experience for both Jewish & Christian pilgrims. 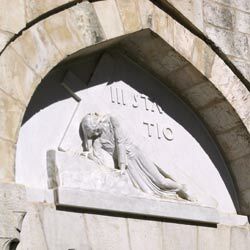 Explore each of the four Holy Cities - Jerusalem, Hebron, Safed & Tiberias - to learn the role each of these played in Jewish & Christian heritage. Or, expand your trip throughout the rest of Israel. Because this area is filled with religious landmarks, we have organized some of the highlights by region. Start planning your custom tour today. Enjoy traditional meals, such as the Shabbat, with a local family. If you'd prefer, take a culinary course with a renowned Israeli chef. You may also choose to do a wine tour in the desert, another important part of the Israeli culinary experience. Make an impact during your trip to Israel by contributing to an area volunteer project. Depending on your interests, you may choose to cook to raise money for children or participate in a forest conservation or green farming project. Israel's long & rich history makes it a destination for archaeologists, historians & geologists, among others. Help dig for artifacts from the Second Temple Period or explore the Makhtesh Ramon Crater, a geological phenomenon. Israel is not all history, it comes with plenty of excitement as well. Go kayaking on the Jordan River or camping in the Negev desert, a good spot to spy desert wildlife. Take a 4x4 out to explore the Golan Heights or Makhtesh Ramon before you rappel down the side of the Crater's walls. Beyond the wonderful culinary scene, there are many other ways to take in Israeli culture. Spend some time learning about the traditions of the Druze or Kibbutz communities. 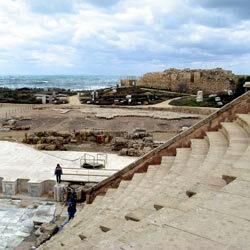 Enjoy an opera performance in Jerusalem or Masada. Or, see artists incorporate their art into the community in Ezuz. Whether you're joining a guaranteed departure trip or planning a custom group tour, you can always add on to your itinerary. You can even plan a short tour in your connecting city. Here are some ideas to get you started. Though Israel is central to Jewish & Christian heritage, its eastern neighbor, Jordan, is also home to a number of important religious narratives. Visit the ancient site of Penuel & the temple at Pella to see what Jacob was referring to in the Book of Genesis. Follow in the footsteps of Moses as you scale Mt. Nebo or wade in same water where Jesus was baptized on the banks of the Jordan River. You may also choose to be baptized in this historic spot. Then, learn about the tumult during the early years of Christianity at Machaerus, the fortified palace where John the Baptist was held captive & martyred, or in the wilderness of Bethany, where Jesus was tested for 40 days & nights. Whereas Israel is considered home to the holiest sites, Egypt actually holds the title for being the most commonly mentioned in ancient texts. Walk through the lands traveled by Abraham, Moses & the Holy Family. 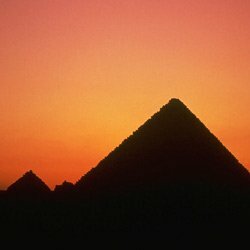 Witness the Pyramids, a world wonder dating back beyond the era of the Old Testament. Journey to the Sinai Peninsula to see the plant thought to be a descendent of the Burning Bush; you can even touch its foliage. View the beauty of Mt. Sinai & for the more adventurous, you can scale the mountain. From the peak, enjoy a panoramic view of the Red Sea while standing where Moses once received the Ten Commandments. From Israel, head north to Turkey, which sits at the crux of European & Asian cultures. During this pilgrimage, you can see the Seven Churches of Asia. It was to these Churches that John delivered his letter of prophetic visions. From there, explore the beautiful Aegean Sea as you travel to Greece's Patmos Island, the origin of John the Evangelist's Book of Revelations. On to the Mediterranean to travel through Athens, Plaka, Corinth & Rhodes just as the apostles John & Paul did as they carried out their Christian missions. 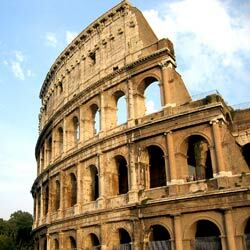 Rome is wonderful option for Christian pilgrims looking to expand their trips. Some of the highlights for travelers include: becoming a part of a Papal Audience, the Sistine Chapel, the Coliseum & Circus Maximus (sites of Christian martyrdom) & even visits to the seven pilgrim churches, to name just a few. For those looking for adventure outside Rome & Vatican City, continue on to Assisi, the magnificent hilltop hometown of St. Clare & St. Francis. Or, head to the Duomo in Florence, stop at St. Mark's in Venice, or the Holy House of Loreto. Depending on airline carriers, many travelers headed to or from Israel will pass through a major European hub. These stops are an excellent opportunity to see more than just the airport. See our selection of day tours or review our list of sample itineraries for ideas on how you might be able to make the most of your itinerary.